You thought that Christmas and me being away from the internet would stop me from publishing a Flashpoint Friday this week? Think again! 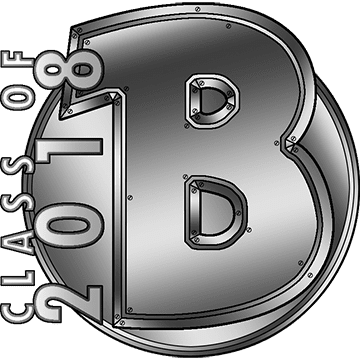 Specifically, I would like to talk about a flashpoint today that is fairly unique among all the current flashpoints, though it does have one twin that shares its unique features. The flashpoint in question is Assault on Tython and its twin is Korriban Incursion. 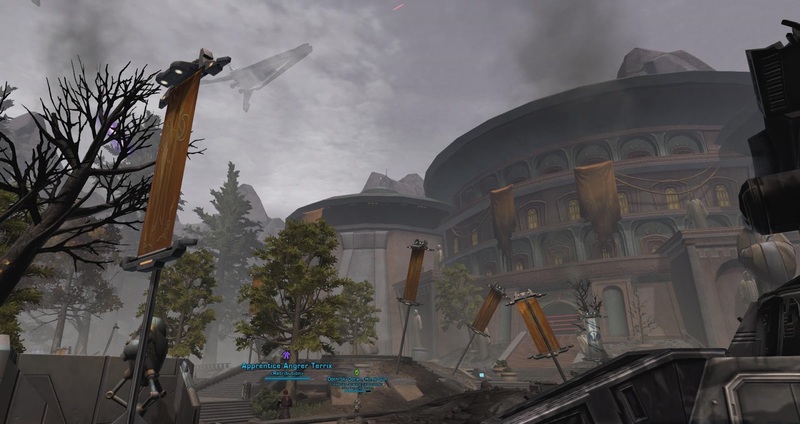 Both Assault on Tython and Korriban Incursion were added to the game in March 2014 as part of patch 2.7, "Invasion". 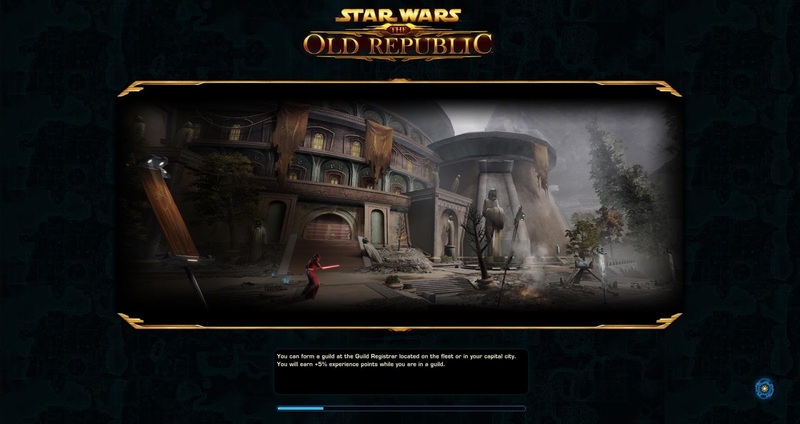 They formed part one of the newly released Forged Alliances story arc, which is labelled as "Shadow of Revan: Prelude" in game now. They were originally designed for players of level 55 (the level cap at the time) and were the first endgame flashpoints to be released as tacticals only, with no trinity requirement. They were also the first flashpoints to be given a solo mode, in 3.0 - until then, anyone who wanted to progress through the storyline had to actually join a group. The hardmode version wasn't added until 3.0 either. Since 4.0, the tactical version is open to levels 15-65. As a fun fact, both flashpoints are the only ones currently in the game that take place in an area that is also accessible during normal gameplay (though it looks a bit different then, as neither Tython nor Korriban are usually under siege). 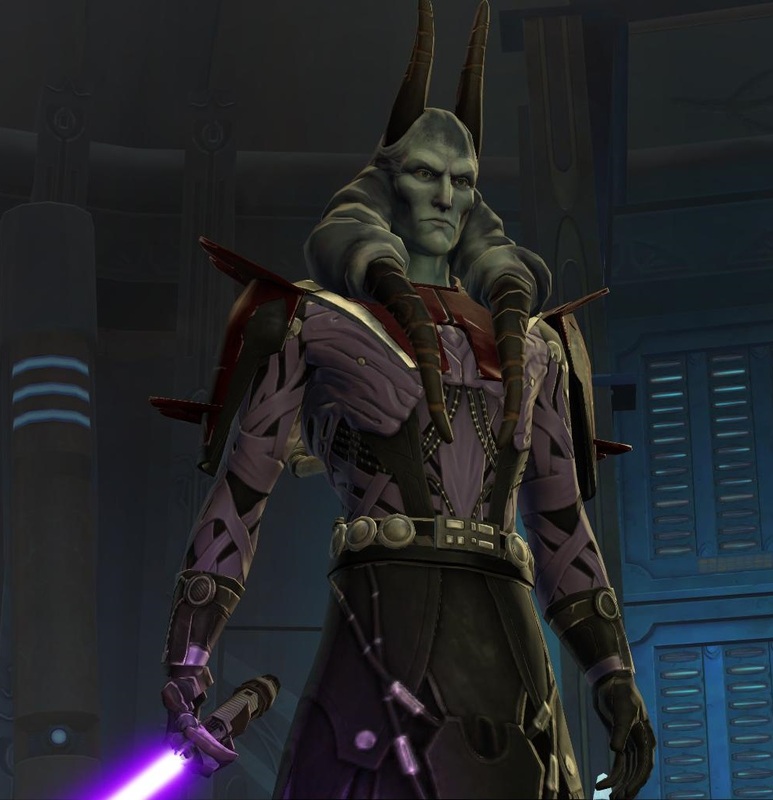 What makes Assault on Tython and Korriban Incursion unique is that while they are both accessible to both factions and mechanically identical for both, they effectively wear a different "skin" for each faction and are meant to take place at a different point in time. Basically, both factions invade the home planet of the enemy faction's Force users at the same time, then find out that their own home has been invaded too, and return to take it back. So Imperial players assault Tython first and then have to fight to take Korriban back from the Republic, while Republic players invade Korriban first and then have to return to Tython to retake that. Confused yet? Imperial players invading Tython come up against Republic defenders, which includes a lot of Jedi padawans and their trainers. Republic players trying to retake the planet later on on the other hand have to kick out Sith invaders and their Imperial support troops. As all the mobs are transposed like for like, this means that instead of Jedi padawans there are a lot of Sith acolytes present, which is a rather odd choice for an invasion force to say the least! In either version there are three mechanically identical bosses, plus a bonus boss that only exists on hardmode and is fairly tank-and-spank. On Republic side these feel pretty generic as your enemies are mostly just random Imperials, with the exception of the last boss, Lord Goh, who briefly features in the Imperial storyline accompanying these flashpoints. The last boss for Imperial invaders is Master Oric Traless, whose name won't ring a bell if you've only played the game but is worth mentioning in so far as he is a character from the Fatal Alliance spin-off novel (which is the only one I've never read as I've heard that it's not very good). He was apparently built up as a fairly important figure: a member of the Jedi High Council as well as its official combat advisor. He has the same abilities that Lord Goh throws at Republic players, which is a holocron drain that will empower him if it's not interrupted by the group destroying the holocron, and a phase during which he becomes immune to damage and makes rocks fall from the ceiling all over the room that players have to avoid. On Imperial side the story quest for Forged Alliances introduces you to a Sith called Darth Arkous and features the first appearance of Lana Beniko. Arkous claims to know about a hole in Tython's defenses and wants to strike the Jedi where it hurts as well as steal artifacts from their temple in the process. Your strike team lands on Tython and fights its way towards the temple after taking down the local defenses. In the temple you find Master Oric Traless of the Jedi Council, whom you kill, as well as some untrained Jedi padawans, who can either be killed as well or spared. While Lana congratulates the group on a job well done, Darth Arkous can be overheard getting testy with one of his followers, the enigmatically quiet Lord Goh, for not finding something quickly enough. 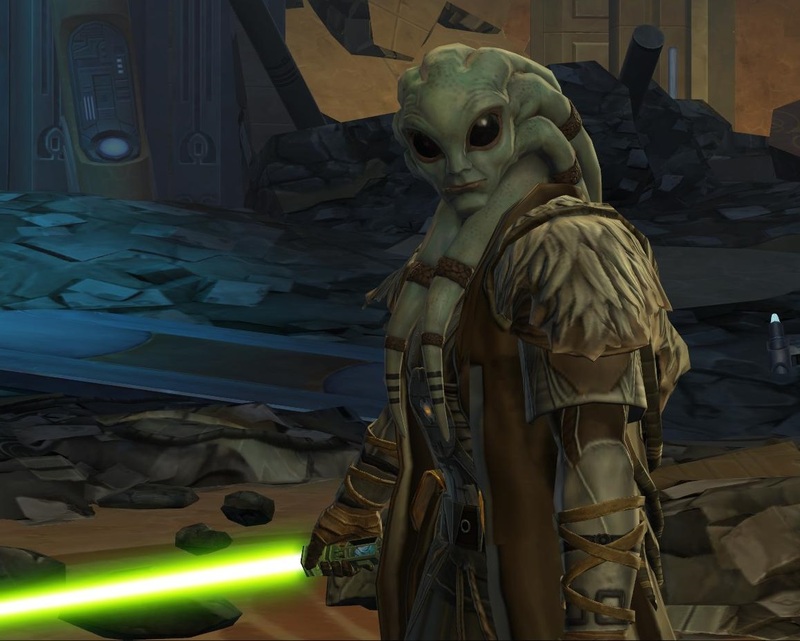 On Republic side the story quest is given by Colonel Darok and Theron Shan, whom you've previously assisted with an attack on Korriban. 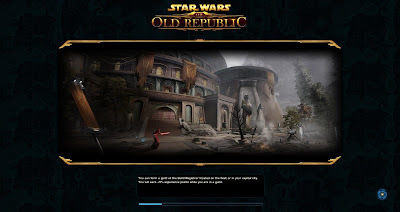 After its successful completion, news of Tython's invasion break, and you are sent to reclaim it for the Republic. Like in the Imperial version, you have to take down some defenses as you approach. Inside the temple you run into Lord Goh, which leads to one of the more amusing conversations inside a flashpoint as he responds to everything you say by simply silently staring at you. When your strike team activates the holo after his death, Darth Arkous is still on the line but doesn't seem to care much that Lord Goh is dead and that the temple has been lost. You also make some prisoners and have the option to keep them for interrogation or execute them. I was very pleased with both Assault on Tython and Korriban Incursion when they first came out, because after the somewhat bland Czerka flashpoints and Kuat Drive Yards, Forged Alliances was a pleasant return to Bioware telling a good story featuring interesting characters. In hindsight though, it's doubtful whether it was the best decision to tell an entire core story arc through multiple flashpoints, even if they added a solo option later. It's simply always a pain to do multiple flashpoints in order when the game rewards running them through a randomised system, and Forged Alliances consists of no less than four such instances. The decision to make all flashpoints tactical from that point onwards was also a bit of a mixed bag - queue pops were fantastically quick, but trinity lovers complained about a lack of challenge while random dps parties struggled at times. Still, at least the tuning was more uniform originally than it is in the current tacticals, as all players doing them were at least of the same level when they were released. Story-wise, the staggered release of these flashpoints was handled well to build intrigue before the release of Shadow of Revan (at the time we didn't even know that there was going to be a Shadow of Revan), though that effect probably falls a bit flat for new players these days. The introduction of Lana and Theron still marks a fairly remarkable shift in Bioware's storytelling however, with the game's main storyline becoming increasingly focused on you and a couple of selected NPC allies instead of simply portraying you as a free agent in the wider galaxy. Shintar + Blogger planner = Unstoppable! Only when I have time to write before leaving... and when I remember how to use the scheduling feature!